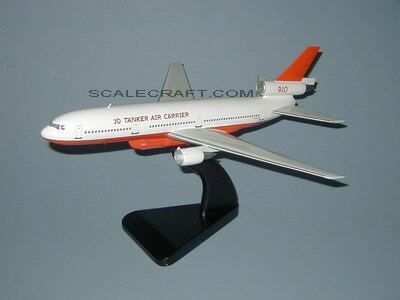 Tanker 910 is the call-sign of the only wide-body jet air tanker currently in fire service. The aircraft, operated by 10 Tanker Air Carrier, is a converted McDonnell Douglas DC-10 aircraft used for fighting wildfires, typically in rural areas. The turbofan-powered craft carries up to 12,000 gallons (45,600 liters) of water or fire retardant in an exterior belly-mounted tank, which can be released in eight seconds.